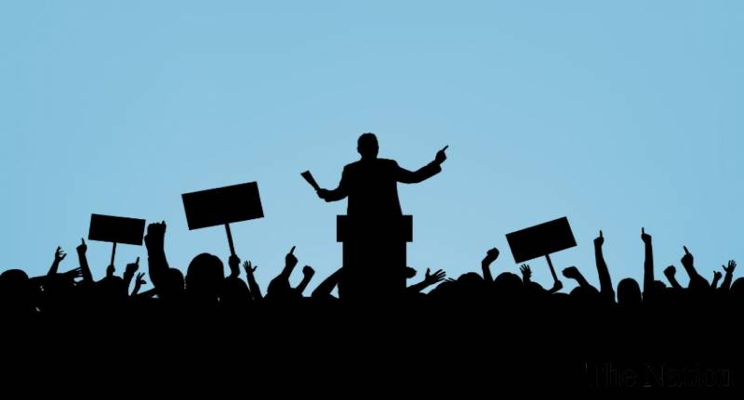 What the Populism Movement Can Teach Us About Privacy and Behavior Change, and How it Will Happen Overnight. All over the globe, citizens are opting for big (behavior) changes. People feel disenfranchised. They feel they have lost their voice, and identity, and that their elected officials have done nothing to protect their rights, culture, jobs, quality of life or privacy. In England, it was Brexit. In the US, it was the election of a businessman to the Presidency, in the EU it is the GDPR privacy regulation and for the Internet it’s the Do Not Track standard. Here’s an article from 2014 on How much is your personal data worth? Link Your ‘lack of privacy’ and your inability to change your behavior form ‘Accept & Continue’ has created tremendous value for your data ($$$€€€) in the marketplace. What happens then when a ‘switch’ is made available to the populous that allows my voice to be heard and offers me a chance to change my behavior? I am the Swamp Ville Gazette, and I need some exceptions to your DNT=0. Are you willing to give me a general site-wide exception for all embedded third-parties? Sigh. Then, one by one. 1. Can my advertiser Honest Ads have an exception? No. 2. Can my visitor counter Simply Counts Heads have an exception? Yes. 3. Can my associated store Sells Stuff Expensively To Idiots have an exception? No. 4. Can my audit partner Joe’s Best Audit have an exception? Yes. Wow… not a very good experience. It’s not hard to imagine millions of people seeing the above and simply saying, ‘No’, to everything. After all, what’s in it for them? The Elephant and the Rider: Inside each of us (Me) there is an emotional side the Elephant, and the rational side the Rider. Path The notion that if you want someone (Me) to change, then you must guide Me along a familiar path like my current environment. The single act of presenting the populous with the Swamp Ville Gazette scenario daily will overwhelm them and emotionally force them to disconnect. It will ‘undo’ the behavior (Accept and Continue) which has created value for very large companies, and turn it into something else. The Enterprise Times just wrote an article – Businesses beginning to panic over GDPR (Link). It talks about how businesses could go out of business by not complying. It’s an excellent article — but in my humble opinion it misses the bigger picture. GDPR and Do Not Track are not just about the business, they’re about behavior change at the populous level. Privacy is about to become a populist movement. Why? Because it can, because Accept and Continue is going to be replaced with meaningful consent based on My Choices. Compliance is a necessity — but something else is about to become an even bigger necessity? Recapturing customers that you have lost due to a behavior change. Imagine the value to your business if overnight 30% of your customer decided not to accept and continue. What happens to your stock price? What happens to your growth curve? No other data is collected unless you complete an information request or blog subscription form.